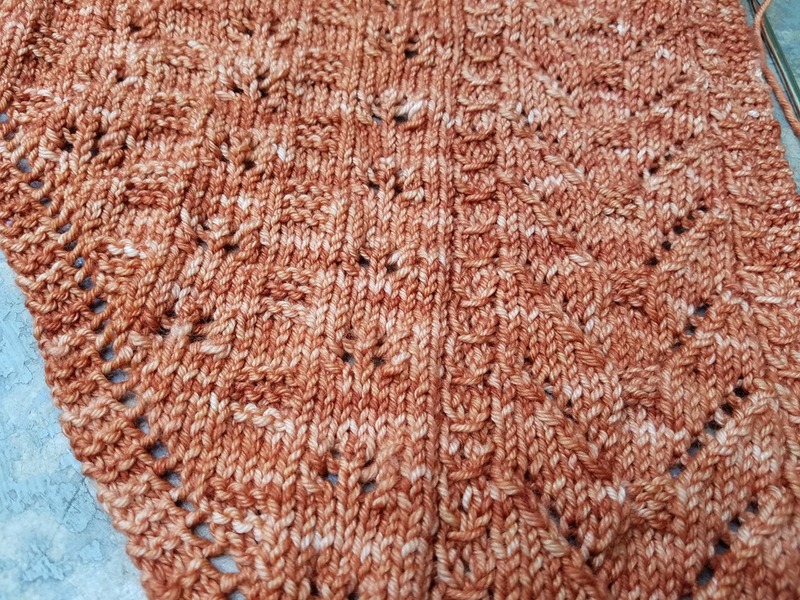 Well after all that baby sweater knitting it’s back to shawls. 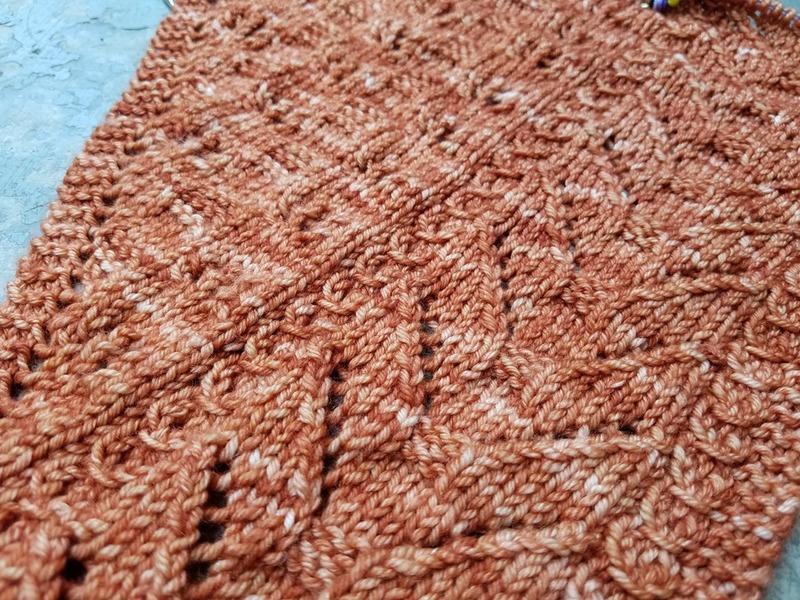 I started a new shawl in DK weight yarn. It is called Thurmont and is a new design of Dee O’Keefe’s. It has an interesting design in that it is an asymmetrical triangle knit sideways. The stitch patterns used are easy and fun to do. I am in Wooster, OH today and through Monday for the Great Lakes Fiber Show. I drove all day today and will spend most of tomorrow getting the booth set up for the show on Saturday and Sunday. Sorry to be so brief but it was an early day and 9 hours of driving so I will close this post. Who knows I may be finished with Thurmont by my next post since it is going along pretty fast.